Taking influences not only from the legendary “Jazz Manouche” (Gypsy Jazz) Guitarist, Django Reinhardt, but also from modern day Manouche Guitarists, traditional Spanish music, Rock, Country, Classical and a host of other sources, Modjango have created a style encompassing the greatest aspects of each, and applied it to the Gypsy Jazz genre. Modjango have been performing Nationwide and abroad for a number of years, regularly featuring in a wide variety of events, from The International Guitar Festival of Great Britain and Southport Jazz Festival, to the Bude Festival, and regular appearances at the famous “Le Quecumbar”, Battersea, London, renowned for hosting the very best that Jazz Manouche has to offer from around the globe. 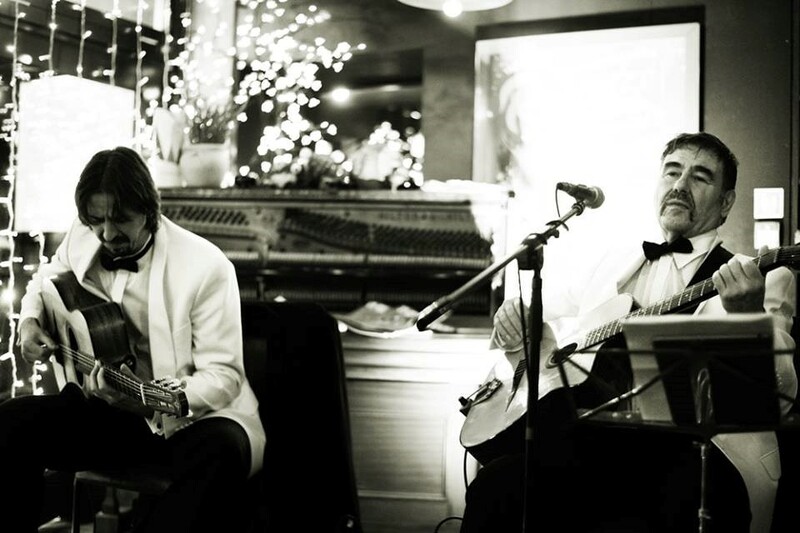 Recently featured twice on the Bay TV Liverpool “Arts Alive” production, Modjango continue to strive toward a greater general exposure of the Gypsy Jazz style, and all that it has to offer, both to music lovers and musicians alike. The great influence that Django Reinhardt has had on generations of Guitarists is often greatly underestimated; he was truly unique, and shattered musical boundaries, paving the way for future achievements in a vast array of styles. Modjango attempt to present a unique interpretation of Jazz Manouche; by incorporating many new elements into this hugely energetic and beautiful style, they modernise it, whilst retaining its essential roots. The very name “Modjango” (Modern Django) highlights their desire to build on the diversity, vibrancy and ingenuity of their sets, producing a sound that is quite simply unique. You can check out Modjango on Facebook.